Society’s wheels sometimes take an age to turn, but every so often we’re reminded that we’re heading in the right direction. One such example was last year when a Melbourne ballet school overturned an archaic ban to ensure dad – and sole carer – Michael Ray could be backstage with his four-year-old daughter, Charlie, prior to her November 20 concert. Michael and Charlie’s story gained quite a bit of media traction, from breakfast radio and online news to, naturally, assorted social commentary. All of which bemused Michael himself as he was, in his own words, “only doing what other dads would do” – and that is, to look out for their child’s best interests. 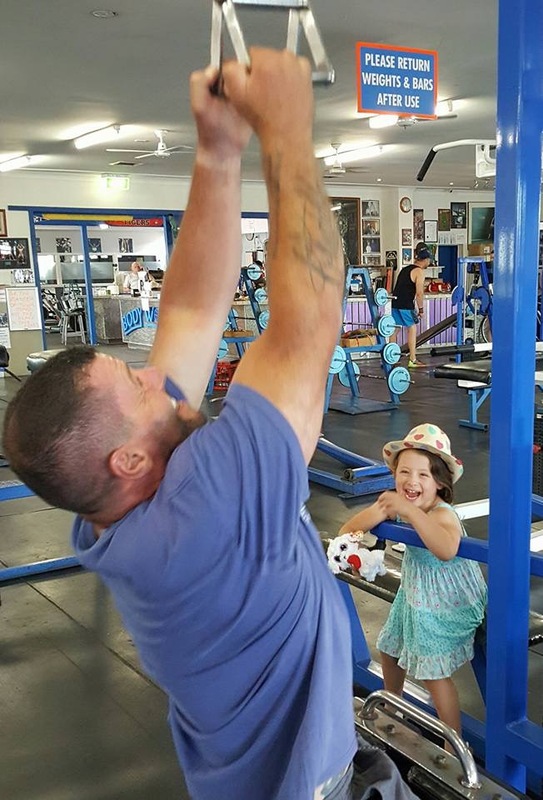 The 54-year-old personal trainer has been a doting single dad to Charlie, now five, since September 2014, when Charlie’s mother (from whom he’d separated from 15 months’ prior) moved interstate without warning. The Dad Website caught up with Michael recently, where he offered some insights into the never-dull life of a single dad. Being a dad means everything to me. Coming into fatherhood at 49 meant I’d already done most of life’s adventures and now it’s all about Charlie. I’ve never felt so fulfilled or happy since this kid has been with me. I’m extremely lucky to have had such a great role model in my father and if ever I’m not sure of what I should do I just think to myself how would my father feel about my decisions or behaviour. It really drums home the importance of setting the example for Charlie. The biggest realisation would have to be there is no more “me” time; not in the toilet, not in the shower, not in bed. It’s not until the bedtime story is read and it’s all quiet that I actually can sit still (usually passed out on the couch). Everything else takes care of itself. I figure, so long as we’re laughing and eating well and finding teachable moments in our play, it’s not rocket science! 1. ALWAYS get Charlie to go to the toilet before we leave home! 2. ALWAYS carry a handkerchief! 3. Cargo shorts are the dad-equivalent of a mum’s handbag! If there’s one thing I do struggle with it’s not crying like a baby when I watch Charlie do anything; I’ve gone from being a big macho hard man to getting hugs from complete strangers at Charlie’s ballet school, and when I bought Charlie’s school uniform for prep this year and saw her in it for the first time! I’m so lucky with Charlie because I’ve got someone to do all the fun stuff with, everything from roller coasters to jumping castles. I’m a qualified swim teacher so we’re in the pool at least once a week and as Charlie’s part fish I’m hoping this will be the year she learns to surf so we can get out together. She’s completely fearless with regards to trying anything, which can be a little bit disconcerting sometimes but I figure she’s a product of her environment. ‘Girlie’ things, like hairstyles and dresses were a steep learning curve. But now I’m a pro. YouTube comes in very handy. Charlie wanted her hair like Elsa from Frozen, so we followed the video. When she wanted to do her nails, too, I did that, and let her do my fingers and toes. I got a few funny looks at a power-lifting contest a few days later, but ‘a dad’s got to do what a dad’s got to do’! I think the perception of fathers is slowly changing to a more realistic one as women rightly argue for equal pay and opportunities in the workforce and are also arguing that fathers are every bit as capable of being the primary carer of children. I’ve never been prouder of anything I’ve achieved than being Charlie’s dad and sole carer. The encouragement Charlie and I receive from ‘other’ mums is amazing. 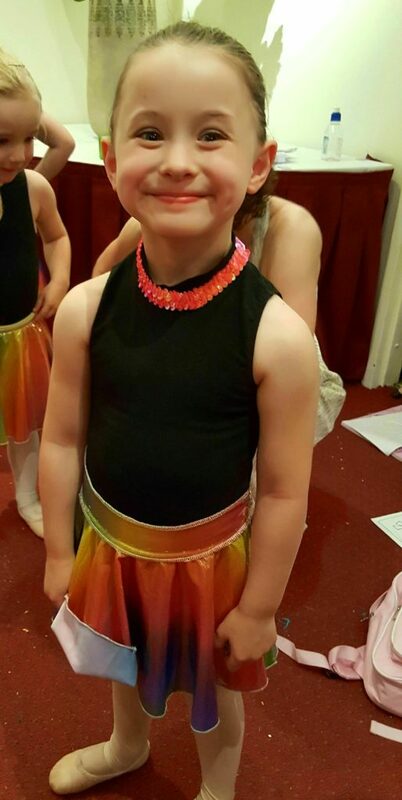 The mums from ballet all supported me when the ban on males was raised and the feedback since our story hit the media has been both humbling and encouraging, especially considering I’m only doing what most other fathers do. I’ve also been welcomed into the mothers group from Charlie’s kinder and I make a point of attending the Mother’s Day events rather than send my sister or mother along with Charlie even though it means having my nails painted and make-up done! think it’s important for Charlie to know that while she might be different from her peers that her mum isn’t in her life, it doesn’t matter. The world is a different place from when I was childless. It’s such an amazing thing to see the excitement of the ordinary again; to realise that Charlie is seeing and doing things for the first time is exciting for me as much as her, I think. Being told by my five-year-old to calm down makes me realise I’m the luckiest bloke in the world to have this experience. I’ve also become the biggest sook in the world since Charlie’s been born; I cry at kids’ movies now, even Christmas carols – and forget about watching Charlie do ballet without having a box of tissues handy. I’m also more concerned with the plight of others. … but I have three major concerns about the world Charlie’s going to grow up in. 1. Drugs. Having worked in the nightclub industry I’ve lost many friends to drugs. While some people can dabble with them and move on, many have had their lives ruined and lost so you never know. 2. Car accidents. I’ve lost a brother and worked in a rehab facility for road trauma victims and it makes you realise how dangerous driving a car can be – especially when you can be doing everything right only to be hit by a drunk driver or some idiot on their phone. A message for other single dads, and dads doing it tough. They grow up so quickly so never miss a moment if you can; they see absolutely everything you do and are far smarter than you think. My biggest thing is: be the example of the sort of partner you want your daughter to seek out; the example of the sort of man you want your son to be; the example of how they should deal with others and with life’s frustrations because you’re the person whose behaviour they’re going to follow. Also, never denigrate or disrespect the other parent because it will affect your children negatively. Be pleased if they like your ex’s new partner because the alternative is terrible! Most importantly, move on and accept the situation for what it is and make the most of the time you have with your kids and realise that while it’s not fair, the only way things will improve is to get along with your ex. No matter how badly they behave in your eyes, never respond in kind; be the bigger person. 1. That she’s my entire world and has brought more joy and pride to my life than I ever dreamed possible. 2. That stuff happens in life that you have no control over but you have complete control over how you react to it. 3. That it’s never ok for anyone to disrespect you or impose their beliefs or standards on you regardless of who they are; always walk away from them. 4. To always realise that there are consequences of who you have in your life and what decisions you make; no one is responsible for your outcomes but you! 5. That the overwhelming purpose of life is happiness! Find what makes you happy and do it. Life too short and nothing is worth sacrificing your self-esteem or happiness for! Judging by the smile on your face, Charlie, you enjoyed the concert!